Grêmio have officially announced the signing of São Paulo's centreback Rhodolfo on a loan deal. He has already passed the medical at the club and will be officially presented this Monday. Rhodolfo will be on loan to Grêmio for a year, with an option to buy him once the loan deal is over. He fits Grêmio's needs as he is tall and more experienced than the other defenders in Grêmio's squad, apart from Cris. 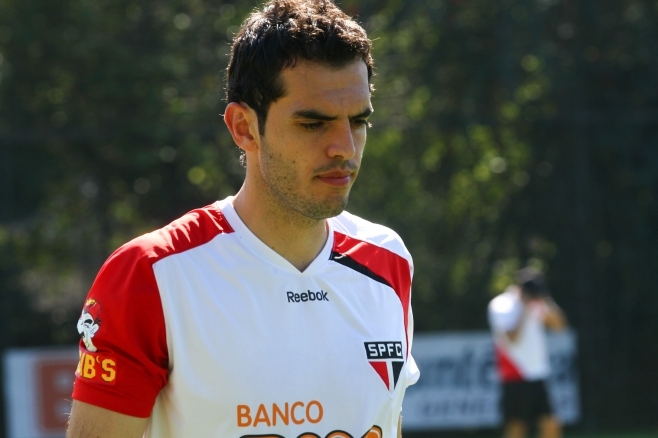 European clubs such as Juventus had previously been interested in signing him, but São Paulo turned down their offers. Rhodolfo has also been called up for Brazil's national team before, having being in the squad that won the Superclásico de las Américas tournament against Argentina in 2011.